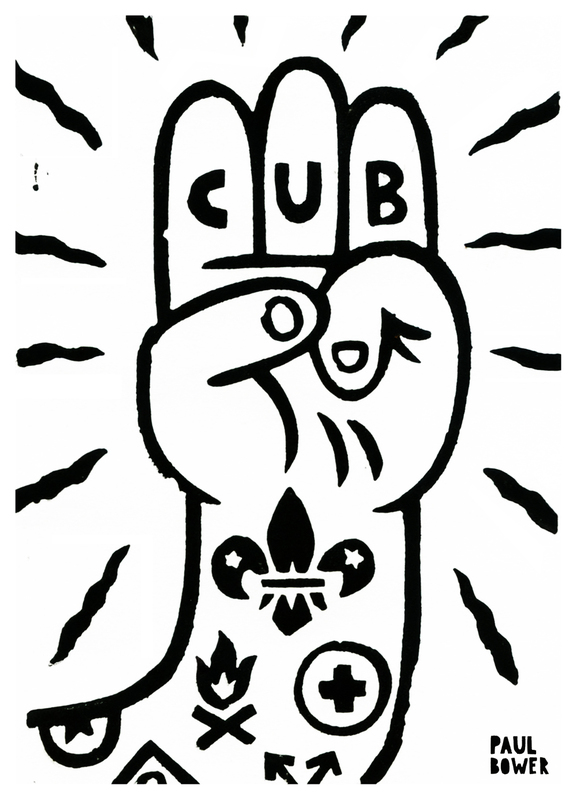 Paul Bower was recently asked by the Scouts to make an image based on the famous Scouts “3-finger” salute, to celebrate their centenary. The aim was to help promote the diversity of the organisation as Scouts can be of any age to old age and from all walks of life. He made this 1-colour lino cut to update the Scout’s safe, old image. Although Paul didn’t join Scouts when he was young because he was more into comics, cartoons and drawing monsters, than uniforms and campsites. He had great fun producing this piece and it was loved by the kids at Scouts.